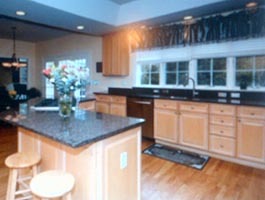 We will make your kitchen like new! A Brand New Look for Your Kitchen - In Just a Few Days. The existing doors, face frame and side panels get stripped, cleaned, primed and refinished to your specifications. 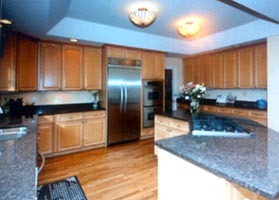 You can have almost any type of finish from stains, white wash to antique distressed, painted and glazed finishes. 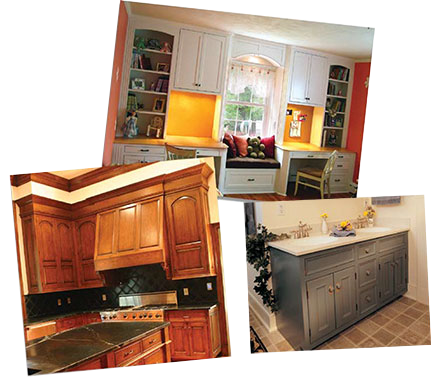 With cabinet refacing, all your old doors, drawer fronts, hardware and accessories are removed. 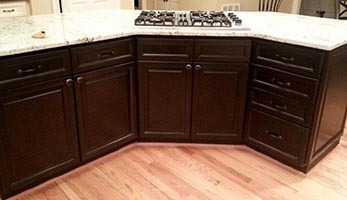 Then, the areas between the doors and drawer fronts, plus the exposed cabinet ends, are resurfaced with premium furniture-grade hardwood veneer, stained and finished to match your chosen cabinet door style. 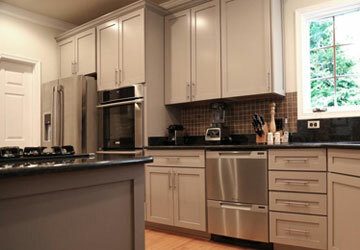 Your new doors and drawer fronts are then installed and accented with new hardware, moldings, or valances. 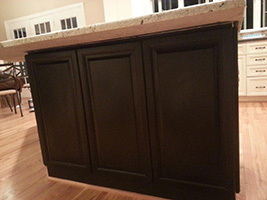 We are located in Fredericksburg VA and provide no sanding cabinet refinishing, cabinet resurfacing, cabinet reclaiming, kitchen remodeling, kitchen renovations to homes and businesses throughout Stafford County VA including Aquia Harbour, Chatham Heights, Dahlgren Junction, Falmouth, Ferry Farm, Garrisonville, Garrisonville Estates, Hartwood, Leeland, Mount Pleasant Estates, Ramoth, Roseville, Ruby, Shiloh, Spring Valley, Stafford, White Oak, Widewater, Widewater Beach and surrounding communities in Fredericksburg and Northern Virginia. 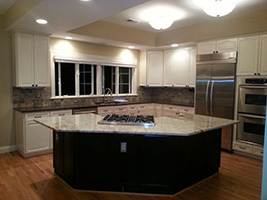 Also, we can remodel and renovate your kitchen and bathroom with new cabinets, granite countertops, and ceramic back splash. 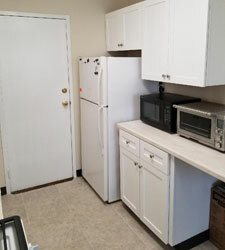 We will remove the old cabinets, and supply and install new cabinets to match your tastes, décor and new countertops and freshly painted walls for a clean new updated look that you will enjoy for years. 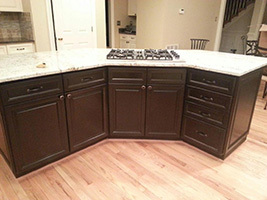 Learn about the processing of re-facing your cabinets. 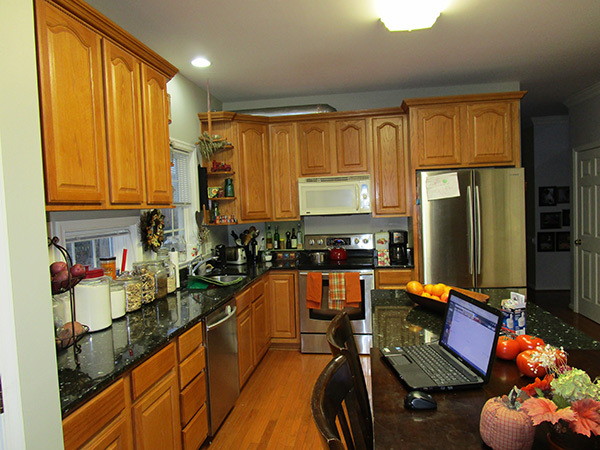 Our Most Recent Testimonial and Photos from Another Satisfied Client! 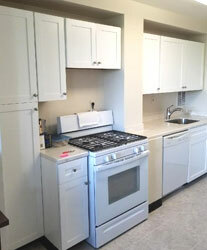 "Patricia's crew graciously refinished our kitchen so quickly I could not believe it. 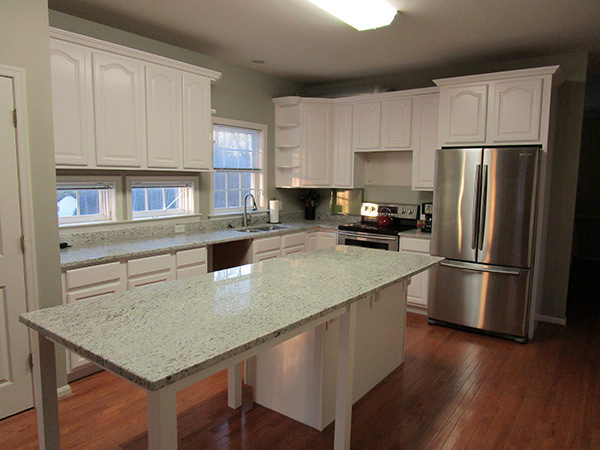 The workmanship was gorgeous, all of the workmen were courteous and very helpful with any questions we had and each crew cleaned up thoroughly when finished. The fact that I have my beautiful kitchen with Alabaster white cabinets and Dallas white counter-tops three full weeks before Christmas has made my holiday! 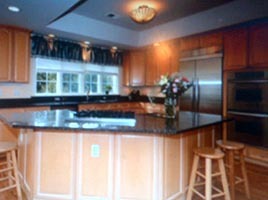 My friends and family are so impressed with the beauty of the end product and the efficiency of Elite Countertops, LLC. Thank you all!"